A self-taught pianist with a scholarly background, Vijay Iyer arrived at jazz stardom through a side door. But in the past five years or so, he has increasingly been invited into some of music’s most rarefied spaces, largely because of his iconoclasm, not in spite of it. Genre definitions have largely dissolved; nondenominational leaders are needed. Mr. Iyer, 45, won a MacArthur fellowship in 2013 and became a tenured music professor at Harvard the next year. Last month, he led his trio at the Village Vanguard for the first time, a belated but meaningful rite of passage. And for the past week, he has been in Southern California, preparing for this weekend’s Ojai Music Festival, which he curated. The annual gathering is seen as a litmus test, suggesting where contemporary Western art music is headed. Mr. Iyer is the first jazz musician — and the rare artist of color — to serve as music director, a position that rotates every year. This debut from Chicago trio Hanging Hearts falls somewhere in the general location of that town’s Chicago Edge Ensemble – a mix of jazz and rock styles, with a touch of experimentalism. Into a Myth features Chris Weller on tenor and bass saxophones, Cole DeGenova on keyboards, and Devin Drobka on drums. Dave King, drummer from The Bad Plus, produced the album. On tracks like Return of Saturn, Big Big Bang Anunini, and Creation, Weller provides lines that are both rude and soaring, while DeGenova applies washes in the background. In contrast, Pilsen opens with catchy sax melodies over raw keyboard riffing (sounding quite guitar-like), and then takes a left turn into free-jazz land before a reprise. Throughout, Drobka takes a mostly subtle role, more than simple timekeeping and breaking out from time to time. The takes it downtempo as well, with He Had the Purist of Intentions, a near-ballad. Not afraid to mix things up, Hanging Hearts covers a broad spectrum of sounds that Chicago is known for, with energy and spirit. A notable effort. PARTCH, the Grammy® winning and twice nominated new music ensemble returns to REDCAT, CalArts’ downtown center for contemporary arts, Friday, June 23 and Saturday June 24, 2017 at 8:30 pm. 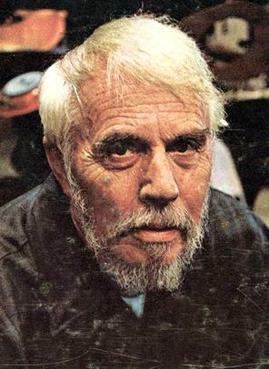 PARTCH specializes in the music & instruments of the iconoclastic American Maverick composer Harry Partch, who created some of the most alluring and emotionally powerful music of the 20th century (between 1930 and 1972). Partch composed music for drama, dance-theater, multi-media, vocals and chamber music—all to be performed on the extraordinary orchestra of instruments that he designed and built himself, including the Adapted Viola (1930); Adapted Guitar I Kithara (1938); Chromelodeon (1941); Adapted Guitar II (1945); Harmonic Canons (1945); Diamond Marimba (1946); Adapted Guitar III (1950); Bass Marimba (1950); Cloud Chamber Bowls (1950); HypoBass (1950); Marimba Eroica (1951); Surrogate Kithara (1953); Spoils of War (1955) and the Boo (1955)—many of which PARTCH performs on today. Partch’s score for the 1958 art-house film WINDSONG, played in Los Angeles for the first time. The film is a retelling of Apollo’s amorous pursuit of the virgin Daphne, and as the composer tells it, “The music, in effect, is a collage of sounds. The film technique of fairly fast cuts is here translated into musical terms. The sudden shifts represent nature symbols of the film, as used for a dramatic purpose.” Thrilling percussion parts and atmospheric Harmonic Canon parts produce some of the composer’s most memorable mid-century music. Twelve Intrusions (yes, 12, not 11! ), is Partch’s second song cycle, featuring all of his instruments to date with the exception of the chromelodeon. Biographer Bob Gilmore commented, “In their quiet, forlorn way, the Intrusions (1949–50) are among the most compelling and beautiful of Partch’s works.” Though usually performed as a set of eleven, his 1951 first commercial 78rpm recording included the hilarious The Letter, as will this year’s REDCAT performance. Sonata Dementia, Partch’s first extended abstract composition initially called Tonality Flux, the term he used for his brand of microtonal modulation. Its completion had to await the construction of the Bass Marimba & the Hypobass, and by the time the virtuosic “Mumbo-Jumbo…” vocal part had been added in 1950, it was renamed Sonata Dementia, perhaps reflecting the psychological stress the composer felt in his isolation at Gualala. The composer called it, “A satire on the world of singers and singing, music and dance; on concerts and concert audiences, where the occasional perception of an American word is an odd kind of shock. Also a satire on the world in general, on whimsy and caprice, on music in 43 tones to the octave, on people who conceive such things, on grand flourishes that lead to nothing, on satyrs, or on nothing.” PARTCH premiered the original version at REDCAT in 2006 as part of MicroFest. Cursive, a modern chamber ensemble specializing in performing hidden gems of modern classical music with a modular ensemble, is proud to present its season closer,. Inspired by the joy and action of Spring and Summer, this unique program combines flute, clarinet, viola, voice and piano in distinct combinations to perform widely varied works themed around love and animals. Inverted Space Ensemble presents the music of Elliott Carter and John Zorn. Featured on the program is Elliott Carter’s Shard (1997) and Triple Duo (1983). From John Zorn, his passagen (2011) (dedicated to Elliott Carter), bateau ivry (2011), and the West Coast premiere of obscure objects of desire (2016). How to describe Suoni per il Popolo? The question is daunting when one considers the festival’s wildly varied lineup – a mix of free jazz, punk rock, world music and assorted underground sounds. For Suoni executive director Peter Burton, it’s just another day at the office. “We’re a 21st century, avant garde, experimental music festival,” Burton said of the nearly month-long event, the 17th edition of which runs June 1 to 24. Founded by Mauro Pezzente, of Montreal post-rock collective Godspeed You! Black Emperor, and his partner Kiva Stimac, Suoni per il Popolo has come to embody the kind of programming you’ll find year-round at their Mile End venues Casa del Popolo, La Sala Rossa and Il Vitrola, which have become landmarks of Montreal’s alternative music scene.